Black and white negative of a group of unidentified men wearing suits and standing in two lines on the steps of a building. Two large pillars are visible in the background. 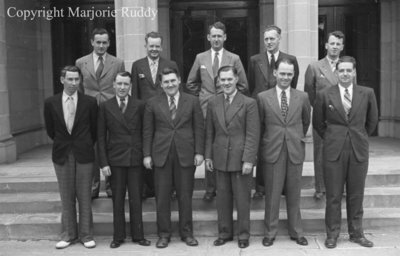 Group of Unidentified Men, c.1945, Marjorie Ruddy. Whitby Archives A2013_040_849B.